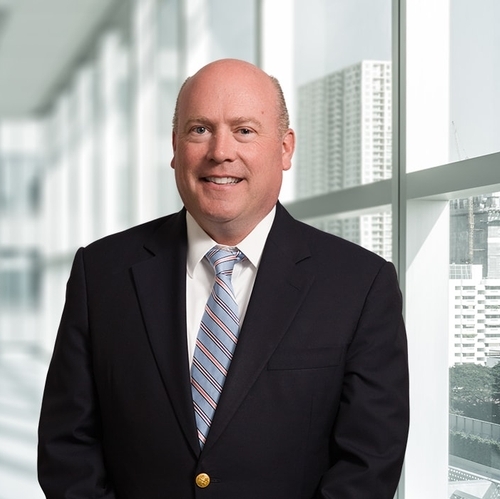 Don focuses his practice in the areas of bankruptcy, bankruptcy litigation, commercial foreclosures, receiverships, creditors rights, workouts, commercial loans and related financial transactions. He has extensive experience in representing secured and unsecured lenders, landlords, debtors, and bankruptcy trustees in all aspects of insolvency and reorganization-related matters including preference claims, fraudulent transfer actions, and the non-dischargeability of debts. Don is a certified foreclosure mediator and has successfully mediated a number of foreclosure matters. Prior to joining the firm, Don served a judicial clerkship for the Honorable Robert A. Fall, J.A.D. He obtained his law degree from Quinnipiac University School of Law, a Masters Degree in Public Administration from Kean University and his undergraduate degree from Villanova University. He served in the United States Army Reserve from 1996-2001 as a 2nd Lieutenant, Airborne, and is a recipient of the Patriots of America Award. What Does the Standard Recently Issued by the FASB Mean for Corporate Mangers?